Last year, celebrated cricket commentator and journalist Harsha Bhogle tweeted - Isn't it wonderful to see some kabaddi players getting higher prices than some cricketers. Just shows how an indigenous sport can be built up. What next? Kho-kho? My vote for volleyball. Isn't it wonderful to see some kabaddi players getting higher prices than some cricketers. Just shows how an indigenous sport can be built up. What next? Kho-kho? My vote for volleyball. Bhogle's tweet highlighted the fact that some of the Kabaddi players bought by various teams for the Pro Kabaddi League (PKL) earned more than some cricketers in the Indian Premier League (IPL). Indeed, the two-month-long cricket league paved the way for other sports to follow suit. In 2013, the Premier Badminton League (PBL), Hockey India League (HIL) and Indian Super League (ISL) were born. Each of these promised to be a life changer for budding sportspersons and brought local Indian talent into the limelight. However, in 2014, the PKL was launched and it not only took the nation by storm, but it also proved to be a "game changer". Kabaddi continues to remain the hot favourite for organisers and sponsors alike. 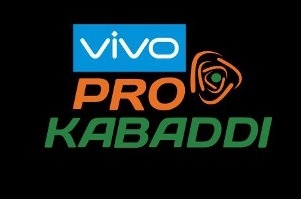 The New Kabaddi Federation of India (NKFI) and DSPORT, on April 10, 2019, announced the dates for the first edition of the Indo International Premier Kabaddi League (IPKL) - a brand new sports league. Former Indian cricketer Virender Sehwag unveiled the logo and showed his love and support for the game. Mentioning his one of the earlier tweets in which Sehwag took a dig at British journalist Piers Morgan (after India's win against Iran to lift the 2016 Kabaddi World Cup) saying, "India invented Kabaddi & r World Champs for 8th time. Elsewhere some country invented Cricket & r yet only good in correcting typos. #INDvIRN", the former opening batsman said, "It hurt the whole nation, including myself, to see India lose against Iran in the semi-final match of Kabaddi at the Asian Games 2018 held in Jakarta Palembang." He adds, "Kabaddi is a pride of the country. When the organisers of IPKL came to me, I felt their ideas and passion would certainly help us regain our place on the pedestal of Asian and world Kabaddi. I wish the IPKL and all players all the very best in this new journey." The IPKL will be held from May 13 to June 4 across three venues in Pune, Mysore and Bengaluru. There will be a total of 44 matches in season one which will feature eight teams - Bangalore Rhinos, Chennai Challengers, Diler Delhi, Telegu Bulls, Pune Pride, Haryana Heroes, Mumbai Che Raje, and Rajasthan Rajputs. The opening phase of the IPKL will feature 20 matches and will be played at Pune's Balewadi stadium between May 13 and May 21 while 17 games of the second phase will take place in Mysore's Chamundi Vihar Stadium from May 24 to May 29. The final phase will be held in Bengaluru from June 1 and has seven games, with the grand finale scheduled at the Kanteerava stadium on June 4. "In the first season, four exhibition matches will also be organised where women athletes will compete. Apart from this, we are also planning to launch a Women's Kabaddi League in November of this year," informs Ravi Kiran, Director, IPKL. The first season of IPKL will see a total of 160 players including 16 foreign signings, battling it out for the trophy. Each team will comprise marquee players and will include five raiders, seven defenders and three all-rounders besides two foreign players. One coach and physio will also be assigned to the teams. Selection trail camps have been organised for teams to choose the players they like. The selection of players has been done by the drawing of lots and not through auctioning. According to RC Venkateish - MD & CEO, Lex Sportel, Kabaddi has emerged as one of the most popular sports in India in terms of TV viewership, in the past three-four years. He, therefore, feels that there is a huge opportunity as there's a limited number of Kabaddi tournaments organised in a calendar year. "While PKL is already an established product, it doesn't have to be the only one. Brands don't advertise for just two months in a year; they advertise all year round. We already have a co-powered sponsor and are in talks with title sponsors. By next week we will announce the names of the sponsors," says Venkateish. 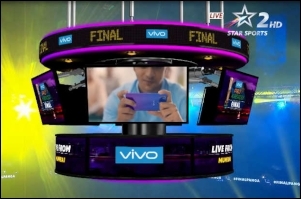 As far as the ad rates are concerned, Rs 30,000 will be charged for a 10-second slot. What's interesting is the fact that for the first time in India, players will be stakeholders in a league and they will get a share (20 per cent) of the revenue generated, aside from assured salaries and prize money. "In the first season, 20 per cent revenue will be shared between all the franchises as well and another 20 per cent between all the state Kabaddi associations. We have also decided that 10 per cent will be donated to the families of the CRPF personnel martyred in the Pulwama terrorist attack," informs Kiran. The monetary aspect is not solely responsible for the success of an event; viewership is also of utmost importance. All matches of IPKL will be broadcast live on MTV and MTV HD+ in Hindi, DSPORT (English), DD Sports and regional channels (Kannada) during prime time (8-10 pm). It will also be available across all digital platforms - Jio, Airtel, Vodafone, and Idea. And while the ICC Cricket World Cup 2019 is scheduled to kick off on May 30, Sehwag is hopeful that there won't be any loss of viewership for IPKL. He says, "India will play its first Cricket World Cup match on June 5. Which means, for India, the Cricket World Cup begins from June 5. Hence, there will be no loss in Kabaddi viewership as people will be keen to watch Cricket only when India plays."